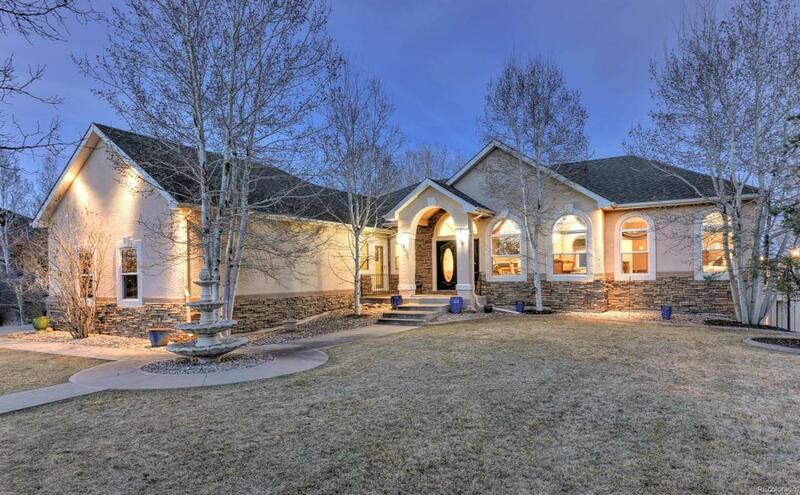 This Luxurious 5 bedroom 5 bathroom stucco ranch style home with a walkout basement sits on a 1/2 acre lot. 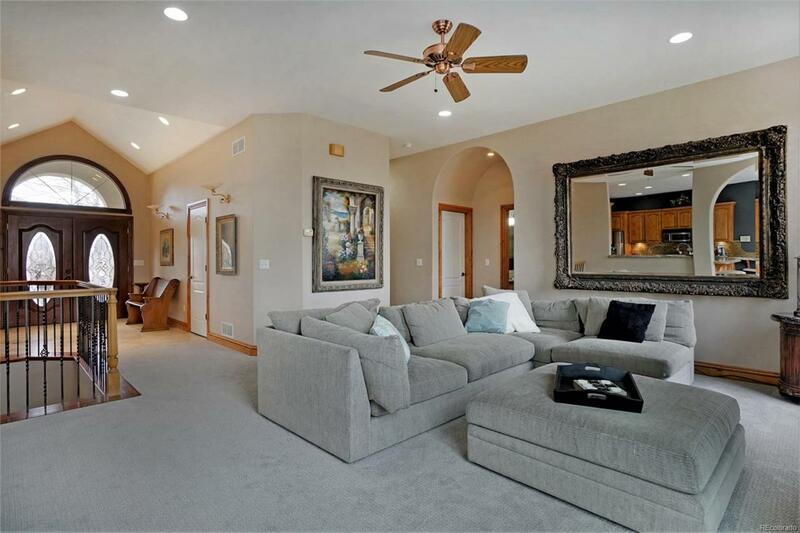 Entertain many guests with the open floor plan, formal dining room and large rec room in basement. The beautiful large wet bar allows for food and drink to be served on the lower floor. Enjoy grilling in the outdoor kitchen on the large no-maintenance concrete wrap around deck. In-home office makes it easy to work from home in this custom built in office on the main floor with its own separate entrance. The large laundry room has enough space to enjoy as a craft room as well as plenty of room to add storage. This home boasts main floor living conveniences: main floor master suite with 5 piece master bathroom and access to outdoor deck plus 2 other main floor bedrooms and bathroom plus a powder bath. This home backs to open space with lake views nearby. The backyard is large and flat. 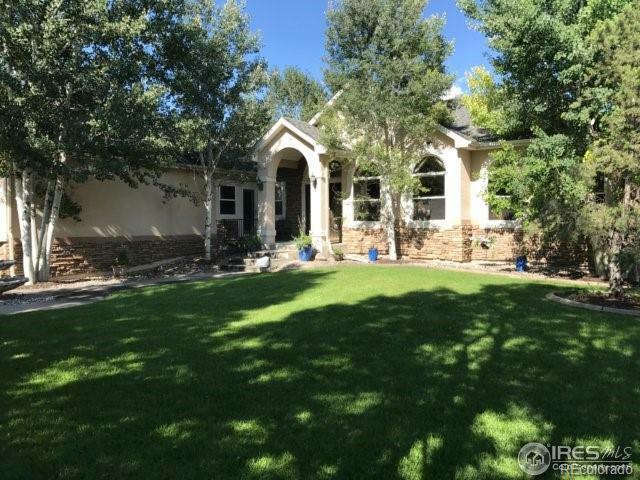 Great place to add a pool , sport court or swingset Also enjoy easy access to I-25.